From 8th October 2018, AgShare.Today will be launching its first ever pop-up office in Dar Es Salaam. This office will be ‘popping up’ for just two months, offering member projects the chance to benefit from in-person writing, statistical analysis and data management support from the AgShare team. AgShare’s scientific writing expert has already begun one-to-one sessions with AgShare members from projects based in Tanzania, such as the Banana Nematodes Baselines Project, Cassava Diagnostics Project and the African Cassava Whitefly Project. These training sessions will provide essential manuscript writing and editing support to help AgShare members to get their work published in journals and maximise the great potential of their work. 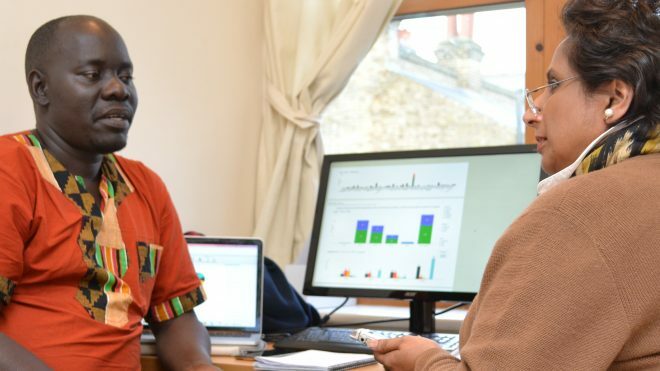 AgShare’s expert statistician will also be working from the pop-up office in Dar Es Salaam, offering AgShare members support in statistical analyses and training in the use of statistical software. This specialist in-person training is available exclusively at the AgShare pop-up offices to help members discover underlying patterns and trends in their data.